On Thursday 16th August, 2018 the A-level results will have arrived electronically at Wychwood and will be available for general release. 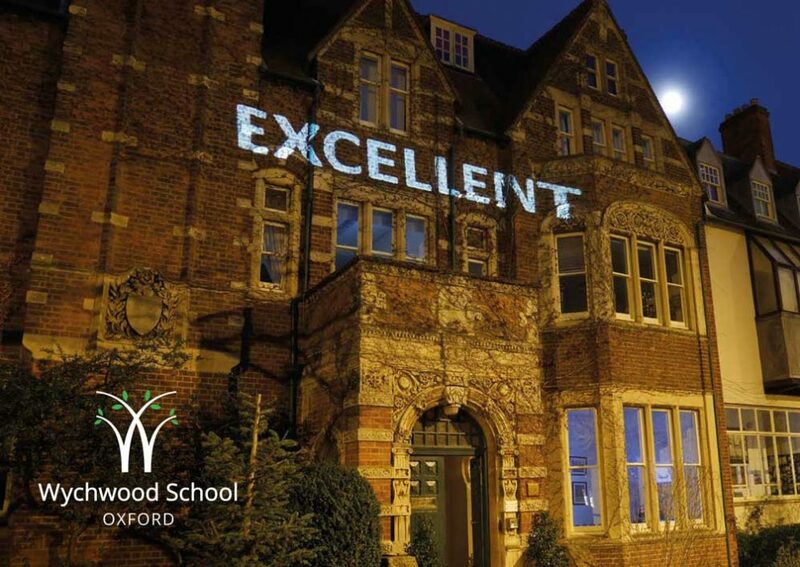 At Wychwood we like to tell the girls personally what they have achieved and so on results day, the girls may either ring school on 01865 517 100 from 9.00am to 11.00am or come in to school between 9.00am and 11.00am. I will also be available during the morning of Friday 17th August to offer any further assistance should it be needed. Any telephone queries beyond actual results should be made the next day, as our priority will be on congratulating the girls and managing their university entrances. Staff will be available to offer assistance and advice in school. If the results are not collected in person, we will post out paper results from Wychwood on Thursday 16th August and they will be sent to the address on the school database. These are NOT certificates. The certificates will not be available until October, once all the Enquiries About Results (EAR) are completed. If your daughter is going to be away or she would like them posted to another address, then please could girls email reception@wychwoodschool.org with the alternative address before 16th August. We ask girls to sign for their certificates in person once they have arrived in school as they are irreplaceable and we do not want to risk losing results certificates in the post. We are not allowed to give results to anyone except the candidate who sat the examinations unless we have written permission from the candidate beforehand. So, if your daughter is away and unable to ring Wychwood on 16th August, then please could she let me know by email if she is happy for us to release her results to her parents or other nominated person on Thursday 16th August by telephone. There are several services offered by the examination boards for candidates who are unhappy with their results. Post-examination services are requested via the form that goes out with the examination results or from Mr Ilott – p.ilott@wychwoodschool.org and please copy Mrs Sherbrooke, Head of Wychwood Sixth (j.sherbrooke@wychwoodschool.org), Mrs Stacey, Director of Studies (a.stacey@wychwoodschool.org) and I into the email. Firstly, if your daughter’s grades are substantially better than expected then she may enter Adjustment: this is a service where A Level results ‘meet and exceed’ her conditional firm offer. On Results Day your daughter needs to telephone the admissions office of any university departments she is thinking of swapping to, and find out whether they have places available on the course of her choice via UCAS Adjustment. If she is offered a place, she should think carefully and then get back to the university to confirm she would like to take it. The university will update her UCAS Track screen, which will show that she has now swapped onto the new course. If she wants time to think about an Adjustment Offer, it is important to make sure the university offering that place understands this, because once the university has put the offer on Track, her original firm will be automatically cancelled, and she will not be able to change her mind. While she is looking for a place in Adjustment, she will keep her existing university place. If a student tries Adjustment but does not find anything, she will keep the place she already has. Secondly, if a university place has been missed and the mark your daughter has achieved is very near that required for the next grade in a subject, it is possible to request a priority review. Universities will normally hold places open to see if the grade goes up and your daughter must ring her department at her prospective university on Results Day to inform them that a priority review has been requested and to ask them to hold the place. Priority reviews can be requested for one week only after results day and cost approximately £45-55 per paper. The school will have done an analysis on whether we recommend requesting a remark and can advise accordingly. Thirdly, if your daughter is unhappy with a grade and she is near the next grade, but a university place is not an issue, then you can request a priority photocopy of the script. It arrives quickly and can be looked at by your daughter’s teacher to see if a remark is worth requesting. This can be requested for one week after results day and costs approximately £20 per script. If, as a result of looking at the script, it seems that a remark is necessary, a non-priority remark must be requested and costs approximately £45-70 per paper. The deadline for the non-priority remark service is 20th September. May I also draw your attention to the school’s coursework internal appeals procedure, which is available on the website. All of these services require a written request from the candidate to Mr Ilott, together with written permission from parents that they can be billed. We ask for a flat fee payment of £50 per paper in advance, as detailed on the form that goes out with results, and any adjustments are refunded or billed to parents once all the examination board invoices are received. We suggest that you bring a cheque book to results day so that any urgent action can be taken immediately. Please note that with any remark, marks can go down as well as up. Examination results are published (without names) on the Wychwood School website as well as local and national news streams. They are also sent to the CEM (Centre for Evaluation and Monitoring) so the school can compare its performance to baseline test scores and other institutions nationally. Please can I also draw your attention to the Publication of Examination Results Policy which will be available on the website after it has been ratified by governors on 14th June. We look forward to seeing you on the 16th and I do hope the holidays go well.